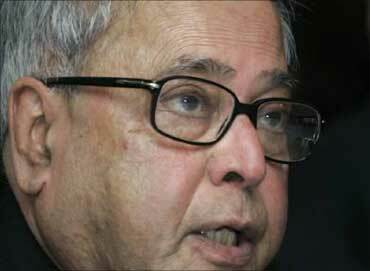 India Inc on Tuesday described Finance Minister Pranab Mukherjee as industry's Sachin Tendulkar saying the veteran leader was steering the economy "with ease of a seasoned player" in difficult times. "Just as India is looking at Sachin Tendulkar to bring smiles to our faces at the end of this World Cup cricket, business is looking at you to steer the Indian economy through the rough patches," Ficci President Rajan Bharti Mittal said at the 83rd Annual General Meeting of the chamber. Comparing Mukherjee with cricket legend Tendulkar, the Ficci chief said, the minister is "carefully picking the opportunities that match out strengths and negotiating the challenges with the ease of a seasoned player". "As Tendulkar has succeeded in all phases of evolution of cricket...you (Mukherjee) have engaged in the dramatic evolution (of the economy) in all its multifarious phases. We look forward to continued success under your wise leadership," he added. Legendary cricketer Tendulkar has scored 51 centuries in Test matches and 47 tons in One Day Internationals and is still going strong. There has been demand from cricket fans that Tendulkar be honoured with Bharat Ratna, the highest civilian award in the country. Image: Master batsman Sachin Tendulkar. 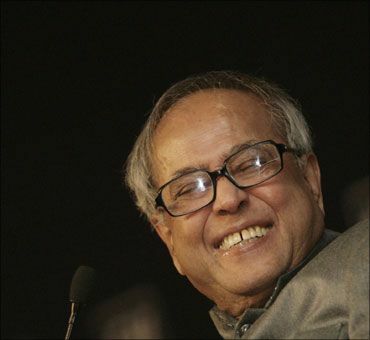 Mukherjee has been credited for successfully steering the Indian economy through the global financial crisis, faster than anticipated. The economic growth rate, which slipped to 6.8 per cent in 2008-09 from over 9 per cent in three preceding years on account of the impact of global crisis, recovered to 8 per cent in 2009-10. The growth rate is expected to be 8.6 per cent in the current fiscal and return to pre-crisis level of 9 per cent during 2011-12.